Your next Boca Raton home garden design should be a butterfly garden. Why do you ask? A successful butterfly garden is full of color, fragrant flowers, and brings the joy of butterflies right outside your door. Talk to your landscaping company about incorporating all of the elements that will attract butterflies to your home. So you know what to expect from a landscaping company when designing a garden fit for a monarch… monarch butterfly that is! 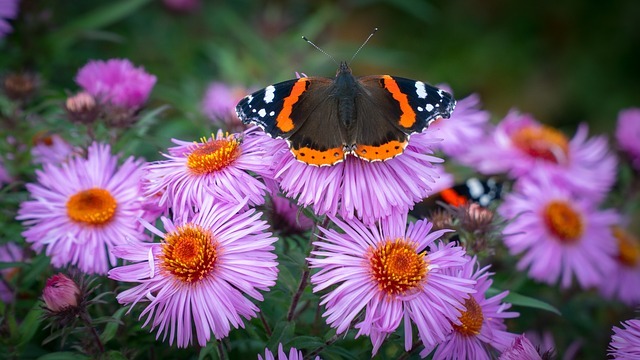 What Makes a Butterfly Garden? Larval Host Plants are the first ingredient. These plants are where the butterflies will lay their eggs, caterpillars will hatch, eat, grow, and eventually turn into more butterflies. Select host plants that are preferred by the caterpillars that turn into the butterfly breeds you want to attract. This is literally what the caterpillars eat so they can become beautiful butterflies. Butterflies like to have a wide variety of trees, shrubs, and canopies to rest in. These trees and bushes will allow the butterflies to be protected from heavy rains, wind, and any extreme temperatures. This is butterfly gardens are usually full gardens with plants of varying heights. Water is just as important to butterflies as every other living thing. When designing a perfect garden, thinking of creative ways to incorporate a water source is vital to attracting butterflies. Adding some boulders with holes to catch water or incorporating a shallow bird bath are perfect ways to create water sources for these fragile creatures. Butterflies are pollinators and will look for bright clusters of flowers for their rich, sweet nectar. This is the food for adult butterflies and they will not stick around if they cannot find it in your garden. If you are impatient and cannot wait for butterflies to naturally find your garden on their own, you can purchase caterpillars or butterflies to release in your new garden and get the process going. If this is something you are interested in, simply ask your landscaper to look into it for you. Imagine walking out of your home and gorgeous butterflies are fluttering around you. What a beautiful way to start any day. Add a picnic table in the middle of your butterfly garden to enjoy a sandwich and your afternoon tea with the relaxation of floral smells and bright flowers and butterfly wings. This can be your serene area to take a break from your hectic life. Jaguar Landscaping is the best in Boca Raton and Palm Beach County for garden designs, landscaping and more. Our amazing team of landscapers will work with you to select the most breathtaking plants and elements to design a garden that is better than anything you could have imagined. Our experts have years of experience in designing successful butterfly gardens that attract butterflies year after year. You don’t have to have a green thumb to have a perfect Boca Raton garden design, you just have to have a landscaper with a green thumb. Call Jaguar Landscaping at 561-699-0653 to start your butterfly garden today! by sgirard	February 22, 2018 0 Com.